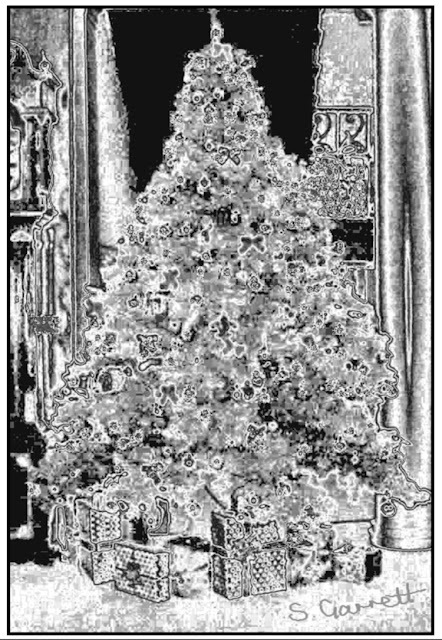 Designs on Nature: Christmas tree designs. Both of these images were based on photographs taken when I used to work at Woolley hall in Wakefield. 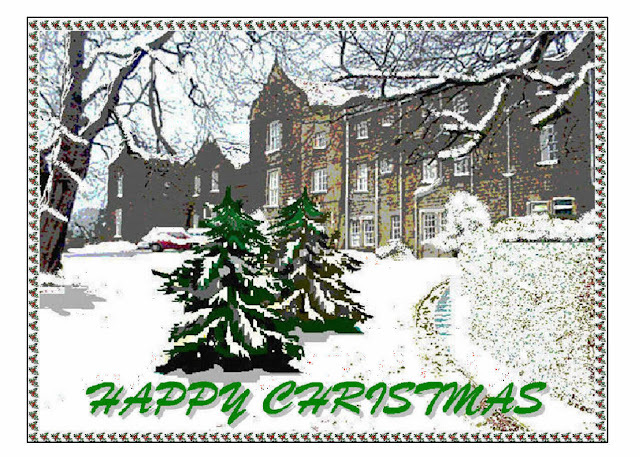 The first is a view of the front of the main house with the addition of some artistic licence. 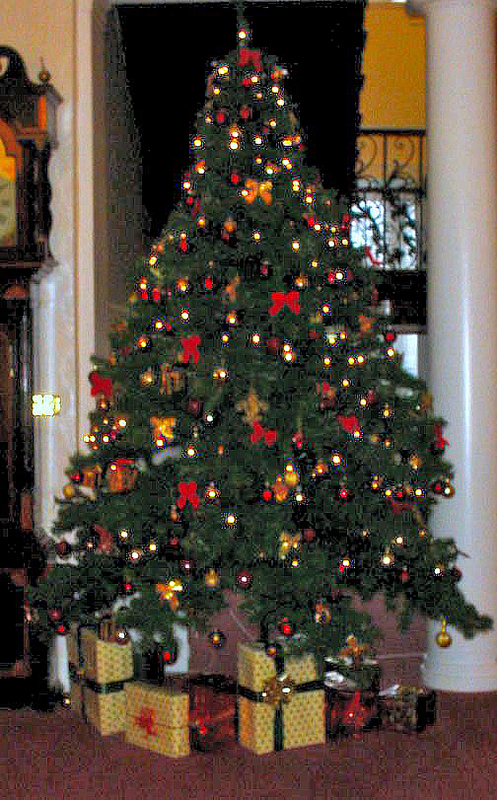 Each year at Christmas time a large Christmas tree was installed at the foot of the main staircase in the main lounge area. The following image was based on a photograph of the tree taken in 2003. Below is the original photograph - not really up to current days standards as cameras have developed since then and are more able to deal with the challenging light conditions.